For over 30 years we serve Argentinean specialties in our well-established restaurant. You can see the typical Argentinean meat preparation on an open charcoal grill in our locations after the first few steps in. At the entrance you’ll be greeted by our staff and be shown to your table. In passing you’ll see some hidden tables behind rustic beams. With those we provide our guests some privacy. 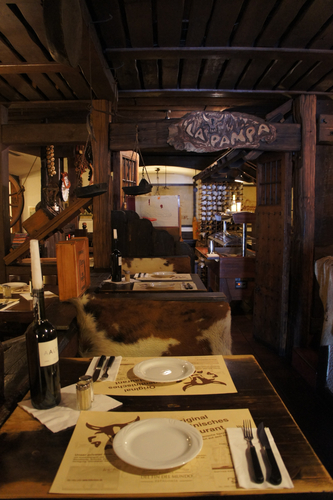 We want you to feel comfortable, since it’s known that everything tastes better in a cozy atmosphere. Fish lovers won’t come short in “La Pampa” either. Get inspired by our fish display where you will find a wide selection of fresh fish and other seafood such as oysters, mussels and crawfish. 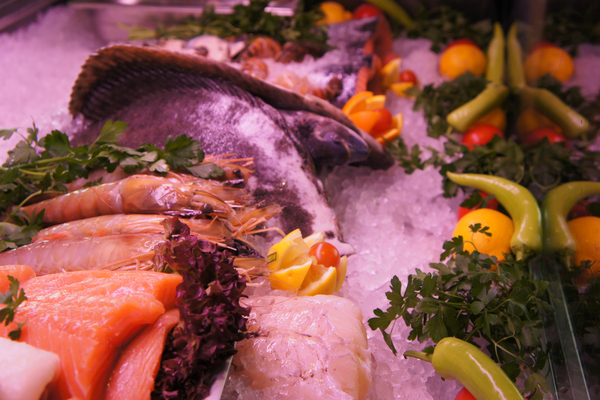 If this still isn’t fresh enough for you you’re able to pick a living lobster from our saltwater aquarium.